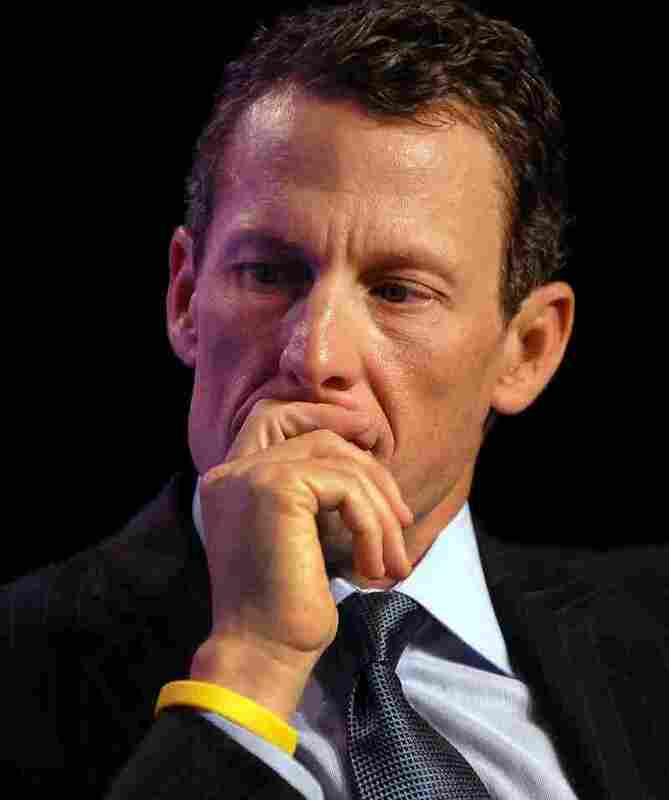 New Report: Lance Armstrong 'Discussed Admission Of Guilt' : The Two-Way The cycling superstar met with U.S. Anti-Doping CEO Travis Tygart in December to talk about a public confession, USA Today reports. That follows a similar story from The New York Times. Meanwhile, 60 Minutes Sports says says Armstrong once tried to "donate" $250,000 to the anti-doping agency. "Lance Armstrong and U.S. Anti-Doping CEO Travis Tygart met for more than an hour in early to mid-December to discuss the possibility of a public admission that the banned cyclist used performance-enhancing drugs and blood transfusions during his long career, a person with knowledge of the meeting said Wednesday morning." That follows an earlier story from The New York Times, which reported that Armstrong "has told associates and antidoping officials that he is considering publicly admitting that he used banned performance-enhancing drugs and blood transfusions during his cycling career, according to several people with direct knowledge of the situation." Meanwhile, on tonight's premiere of 60 Minutes Sports, Tygart tells CBS News' Scott Pelley that Armstrong once tried "to 'donate' about a quarter of a million dollars to the U.S. Anti-Doping Agency, a gesture that 'stunned' " the USADA CEO." There's also word today that Oprah Winfrey says she's going to broadcast a "no-holds-barred interview" with Armstrong on Jan. 17. It will be on the Oprah Winfrey Network at 9 p.m. ET, and streamed live on Oprah.com. Armstrong has always denied he cheated during his cycling career. Last August, though, he said he would stop fighting such allegations. He's been stripped of his seven Tour de France victories. Tygart told All Things Considered last August that its investigation revealed that Armstrong and his USPS professional cycling team was running "one of the most sophisticated drug conspiracies we've ever seen."